Each pack contains 2 pump adapters. Screw the wider end of the adapter to the bottle by twisting to the right. Screw the pump connector into the narrow end of the adapter by twisting to the right. 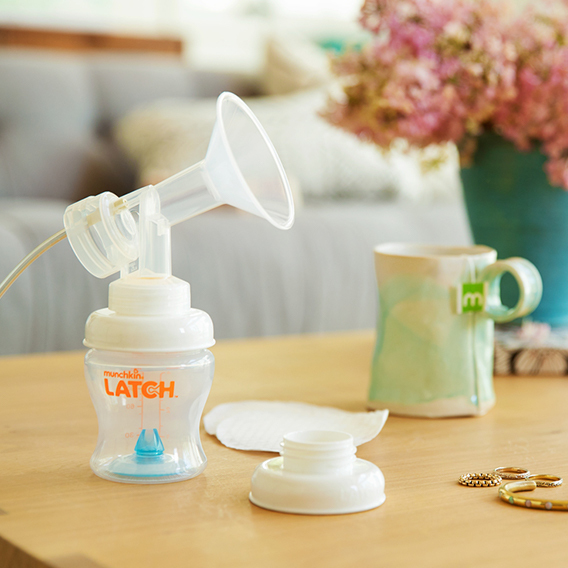 The Munchkin® LATCH™ breast pump adapter is compatible with leading breast pumps, including many Medela®, Lansinoh®, and Evenflo® pumps.